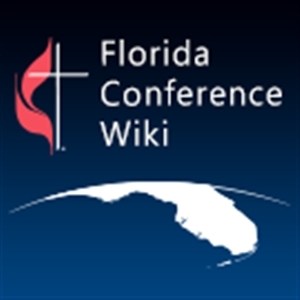 The Florida Conference launched its own “wiki” website to help set the stage for this year’s Annual Conference theme, “Becoming Disciples of Jesus Christ.” Its name is Florida Conference Wiki, and its address is www.flconferencewiki.org. Bishop Ken Carter invites Florida laity and clergy to contribute to a web-based open discussion for defining what it means to “Become Disciples of Jesus Christ in the Florida Conference of The United Methodist Church.” To join the online conversation and help create the definition, click here. The wiki site has a help section to guide novices step-by-step in how to participate. “The purpose is to have varied people bring definition to and identify resources that will help members of local churches and seekers in understanding our calling as Christians,” Bishop Carter said. A wiki is a website which allows its users to add, modify, or delete its content via a web browser usually using a simplified markup language or a rich-text editor. Wikis are powered by wiki software. articles can be edited by anyone with access to it. If you’re new to wikis, check out this video, “Wikis in Plain English." And, you can read Wikipedia’s definition of a wiki here. On May 14, laity and clergy members of the conference engaged in an online Twitter conversation with Bishop Ken Carter about their journey or their church's progress toward becoming disciples of Christ. The tweet meet was the first for the conference, and the discussion was lively and thoughtful. 11,811 accounts reached by one or more tweet meet tweets, the total reach (audience) for the event.